HDFC Securities Sub broker and HDFC Securities franchise business comes with a ready-made brand trust and huge brand recall value. Thus, if you are someone who is looking to be an HDFC Securities partner in one business model or the another, this is huge leverage for you that can assist you in easier client acquisitions. In this detailed review, we will have a look at the background of business opportunities this bank-based stockbroker has to offer along with the corresponding costs associated and revenue sharing values. HDFC Securities is a prominent bank-based full-service stockbroker in India with its headquarters in Mumbai. The broker offers a 3-in-1 Demat account which basically integrates your trading account with the bank account. With sub-broker offices in the range of 250, HDFC Securities has relatively limited offline presence as compared to other full-service stockbrokers. In this detailed review, we will talk about specific criteria that you need to fulfil for HDFC Securities Sub broker business along with information on fees, revenue sharing, advantages, disadvantages etc. You must be at at least 21 years of age. As far as educational background is concerned, although 10+2 is the minimum requirement, however, a bachelors degree is preferred. Registered Authorized Personnel with SEBI is a major and mandatory requirement that you need to fulfil. Professional experience of 2 years or more is the minimum duration you need to have. There may be few more requirements that you need to take care of that and such points will be discussed with you over a face to face meeting with the HDFC Securities executive. However, the points mentioned above cover the primary requirements that you need to take care of. You can read this review in Hindi here. In order to get started with this bank-based stockbroker, you will need to shell out some monetary arrangements too. As a refundable security deposit, you will need to pay ₹2 Lakh rupees to start with. Apart from that, there will be a few more expenses including registration charges, certification charges etc. You will also need to set-up an office in a commercial space in your city or town. This office can be on rent or owned by you. Furthermore, you will need to hire a few employees for customer support, operational assistance etc. All these costs are going to be taken care of as operational expenses. Just to give you a basic understanding, when you start a sub-broker business with any stockbroker (for that matter) – the money you make is basically a percentage of the overall brokerage you generate from your client base. Thus, the business revenue has a direct relation to what you make from the clients you have acquired. In case of HDFC Securities, this revenue sharing percentage can be anywhere in the range of 50% to 70%. In other words, if you generate brokerage of ₹5 Lakh in a month, then you may get anywhere between ₹2.5 Lakh to ₹3.5 Lakh depending on the arrangement you have with the stockbroker. Once these details are submitted, a callback from the broker is arranged for you. In this callback, the executive is going to ask some business related details from you and also will guide you on the steps ahead. There may be some documentation that the executive may ask you to send over an email. The executive will arrange a face to face meeting with you where an on-field will executive will come to your office/home/preferred location and verify the details submitted by you. You will also need to fill the sub-broker form while attaching the relevant documents along. This is the step where the costs associated with the sub-broker business will be informed to you. Furthermore, you can negotiate with the executive in terms of the revenue sharing part. As an extension to step 2, you will be required to provide a cheque to the executive as the refundable security deposit. Apart from that, you may be charged some registration fees as well. Once all the documents are provided, all details are verified and processed in the backend. Post verification, your account is activated by the broker team. You will be provided credentials to back-office, admin trading platforms and other related tools. All these tools will assist you in carrying your sub-broker business smoothly. You will also be provided with regular marketing support from the broker in forms of brochures, Marketing Collaterals etc so that you stay consistent with the brand. All these marketing activities are taken care of by the broker and it directly assists you in increased client acquisition. Furthermore, as a full-service stockbroker, HDFC Securities provides regular research, tips and recommendations to its partners. If you choose to become HDFC Securities sub-broker, you will be provided reports so that you can further share it with your client base. Since HDFC Securities is a bank-based full-service stockbroker, it provides your potential client base with a “sense” of trust. This helps for easier customer acquisition since beginner level traders generally do not trust new or non-conventional financial companies. The broker has a limited offline presence. Thus, if you choose to become an HDFC Securities sub-broker, you may leverage the brand with limited competition around your location. HDFC Securities, as a brand, has a decent recall. The broker provides you with marketing collaterals on a regular basis. These activities assist you in quicker customer acquisition with limited or no extra cost involved. HDFC Securities provides some of the well-developed trading platforms such as HDFC Sec Web, HDFC Securities Blink and HDFC Securities mobile app. In the end, we would like to mention that there is a definite opportunity out there in case you are looking to be an HDFC securities sub-broker. With limited current strength and a decent brand name, HDFC securities can be placed among the top stockbrokers that you may look to get start your share market business with. The returns may not be high if you start small but in the long term, it is definitely a promising brand to work with. What are the different business models one can explore with HDFC Securities? HDFC Securities offers a single business model i.e. HDFC Securities Franchise or Sub-brokership (in this case both terms are used interchangeably). The business requirements, associated costs, revenue sharing, benefits all are same in both the cases. In a sense, the broker provides limited flexibility to its potential business partners. How long does it take to get my business started with HDFC Securities? If all the required documentation the broker needs is in order, it will take 3-4 business days for the complete processing to complete. Post then your account will be activated with the broker. However, if there are any unforeseen concerns with any of the details or the documentation, then it may take a little longer depending on the seriousness of the issue. 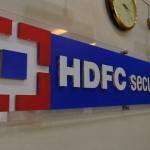 How is the current offline presence of HDFC Securities Franchise? HDFC Securities Franchise locations are currently available in around 60 cities and towns of the country with a total outlet strength in the range of 250. Looking at the overall stockbroking space, these numbers fall between the low to medium size range. 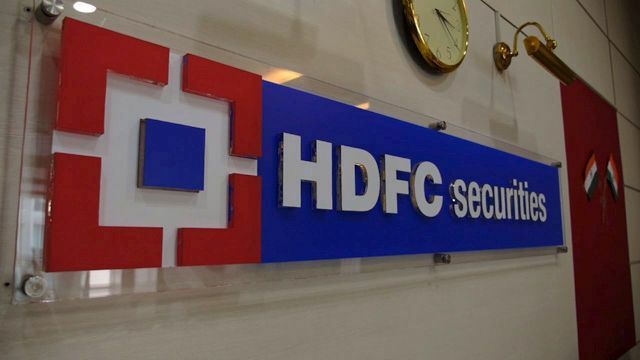 What are the costs associated with HDFC Securities Franchise set up? How are they as compared to the Industry standards? The broker requires you to pay an upfront cost of ₹2 Lakh which is refundable in nature. Apart from that, there could be a few payments related to your business presence, staff, operations etc that you need to take care of. Again from the industry perspective, the initial costs fall around at an average level only.